Evidently the Huffington Post doesn’t tolerate questions about Hillary’s health. Here is the second offending post questioning Hillary’s health, via the internet archive. 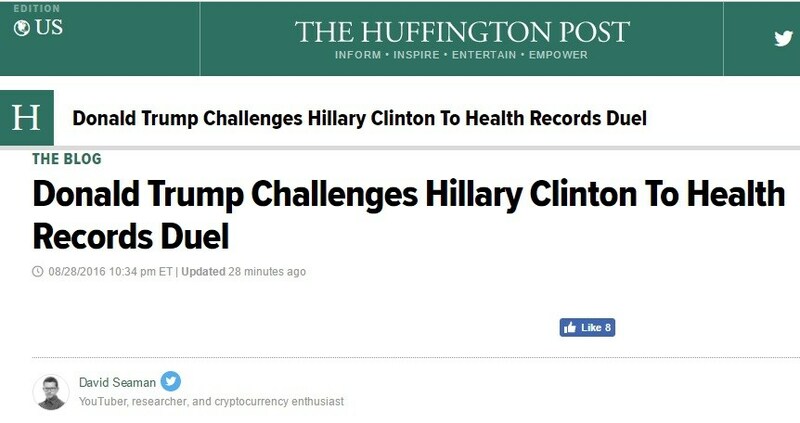 Huffington Post TERMINATED David Seaman For Questioning Hillary’s Health!